Dr. Iris Rubin, CEO and founder of Seen.Courtesy of Seen. The secret to great skin may be better hair care, according to Dr. Iris Rubin, M.D. 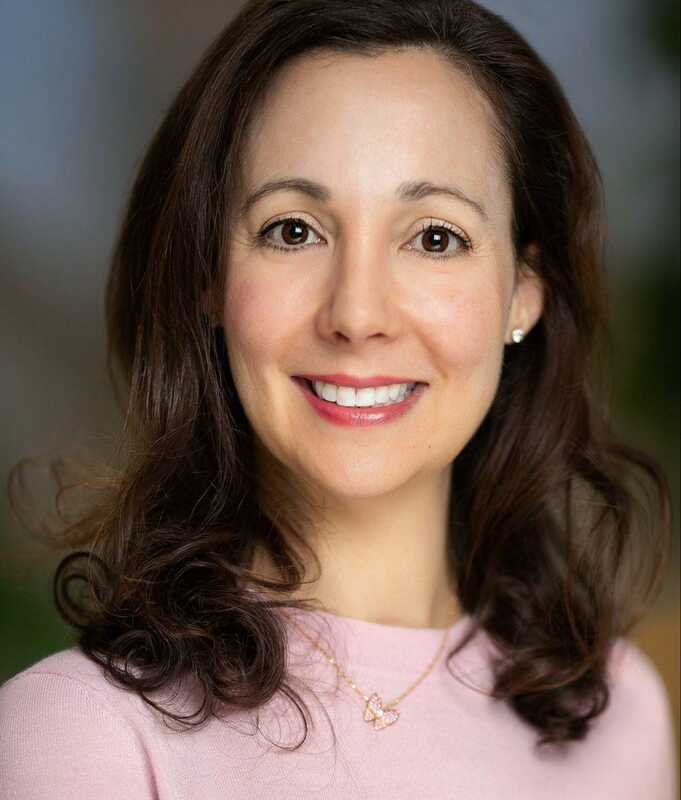 Dr. Rubin is a board-certified dermatologist with laser and cosmetic fellowship training, a graduate of Harvard Medical School and a former pediatric laser surgeon at Children’s National Medical Center. Now, she’s adding beauty entrepreneur to her resume. As a dermatologist, she saw numerous patients with breakouts, including the anxiety and insecurities that come with them. It became a personal problem for Dr. Rubin when she experienced breakouts after salon visits. After some research, she traced the breakouts back to a surprising source: the salon’s high-level hair products. The products’ ingredients would rinse down the face and body in the shower, coming into contact with the face, neck, chest and back — often causing acne in these areas. They can also leave a residue on towels and pillowcases that can transfer to your face and body. Dr. Rubin decided that she nor her patients should have to choose between beautiful hair and beautiful skin, thus Seen was born. 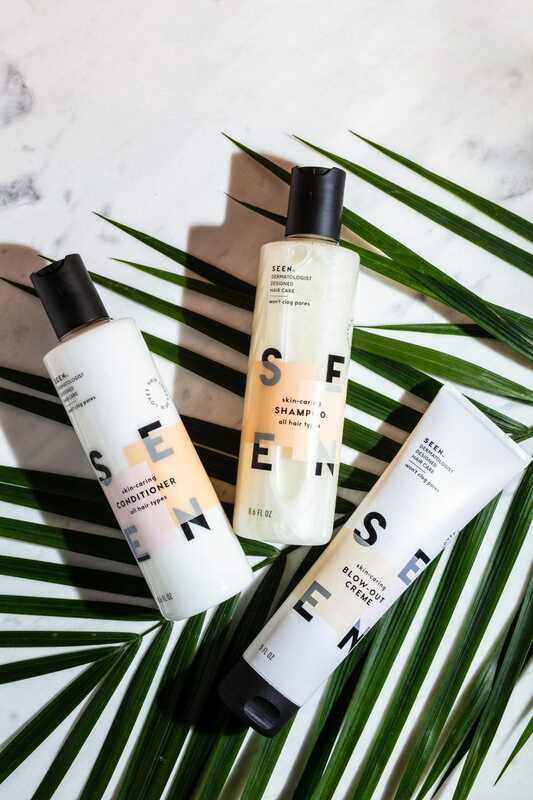 Seen’s breakthrough patented formulas are a game-changer that fuses hair care and skin care. The core technology in the Seen collection is based on a careful curation of ingredients – optimized and balanced to minimize pore-clogging. Seen products use many natural ingredients and safe synthetics when necessary to prevent skin irritation. They are formulated without parabens, sulfates, phthalates, silicones, or dyes and are gluten-free. To achieve this balance between hair care and skin care — as well as all-natural and safe synthetics — took years of research and trials. The Founder and Chief Medical Officer of Seen explains what motivated her to search for and formulate this beauty solution. Dr. Rubin also shares why she left her dermatology career and leap into creating products for better skin and hair. Seen Hair Care Line.Courtesy of Seen. Yola Robert: What differentiates SEEN from other hair care? Dr. Iris Rubin: Most hair care products are not formulated with the skin in mind. Seen is distinct from other hair care lines because it is specifically formulated to be both hair and skin friendly. What’s on your hair is on your skin. Nobody wants breakouts and acne, yet hair care products can cause breakouts, with ingredients you would never choose to put on your skin. Our mission is to be more than just a beauty company; it’s about building people’s confidence. Acne can have a big psychological impact and erode a person’s confidence. Research shows that acne can increase depression risk by over 60%. That’s why our brand is called Seen: because we want to empower people to feel comfortable being seen for their best self. And acne is not just a teenage issue. Adult acne in women is so widespread that The New York Times published an article recently stating that “the rare woman without acne is notable.” I think most people would not knowingly put products on their skin that can clog their pores and lead to breakouts, though many do so every day with their hair care products. Seen products are clinically proven to not clog pores or irritate. We’re so excited by the transformations we have already heard from customers who say they feel more confident and no longer need to hide behind makeup to cover their skin. Other women have shared that they can finally wear tank tops and bathing suits without being embarrassed about how their back looks. Why choose between beautiful hair and healthy-looking skin when you can have both? Robert: Why did you choose not to go the all-organic route? Rubin: People often think of all-natural and organic as always being good for you, and they usually are. But natural and organic are not always skin friendly. For example, poison ivy is 100% natural, and I don’t think you would want that on your skin. Some botanicals can cause irritation, and some oils often found in organic products can clog the pores and lead to breakouts. Our philosophy is to use the optimal mix of natural when possible, and safe synthetics when necessary, to get products that are amazing for the hair and the skin. Seen products are formulated without sulfates, silicones, phthalates, parabens, dyes, and gluten. Our philosophy is out with the bad, and in with the good. Our good-for-skin additives include a skin-soothing chamomile derivative, a plant sugar derived silicone substitute, and a shea butter derivative for moisture.